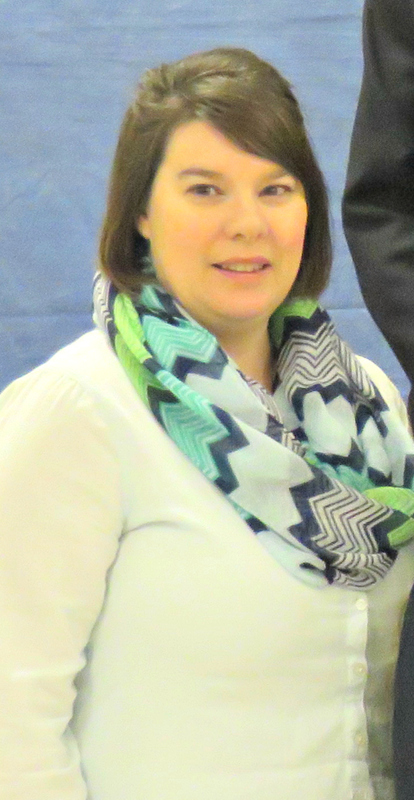 Mrs. Jennifer Cain is in her thirteenth year of teaching and has over ten years of experience leading grades 5, 6, and 7, in middle school math and science curricula. As a military wife, she has had the opportunity to teach in a variety of schools including both public and private Catholic school settings. She graduated from the University of Tennessee, Chattanooga with a B.S. in Education and has a K-9 certification from North Carolina. In the Spring of 2014, Mrs. Cain received her Masters of Education in the area of Curriculum and Instruction from the University of Alaska Anchorage. Her thesis work focused on modification and development of Classical Catholic Curriculum to meet the unique needs of our multi-grade middle school class. Mrs. Cain and her husband John have three children, Laurel (age 13), Audrey (age 11), and Jack (age 6). Mrs. Cain is a dedicated Catholic and an active member of Sacred Heart Catholic Church, where she finds ever ancient, ever-new inspiration for her classroom maxim, Ora et Labora ('Pray and Work', according to the Rule of Saint Benedict). In her free time you can find her reading, knitting, or snowshoeing.